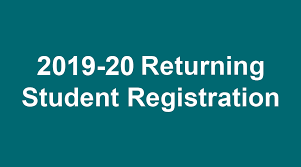 In preparation for the 2019-20 school year, Digital Re-registration is now open for current Jersey 100 students via Skyward Family Access. If your student is an incoming Freshman from SFHG, you SHOULD complete the Digital Re-Registration from your Family Access account to confirm the information was entered correctly and complete the other required forms. The 2019-20 school year fees have also been added at this time. They can be paid now, over the summer or just before school, but must be paid prior to the start of school. JCHS Lab and Drivers Education fees will be added in August when schedules are final. Please visit our school registration website to find Forms and Documents, Important Dates and Frequently Asked Questions.